Hey there all you lovely photo artists! Hope all is well in your corner of the world. 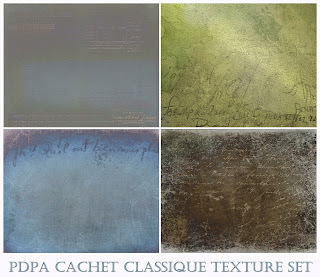 Did you pick up the free texture released in my last post? It's a beauty, so if you don't have it yet, you can get it here. It's Thursday, so time for all you early-birds to link up your photo art submissions for this week's edition of Photo Art Friday. 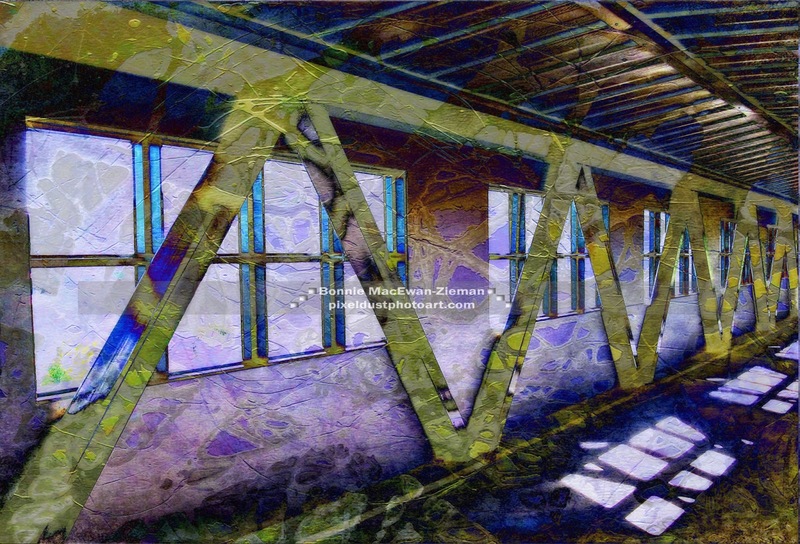 Any digital ART image created with your photographs is welcome in this virtual showcase. If you wish, you can share images featuring shadows and/or light, which is the optional challenge this week. 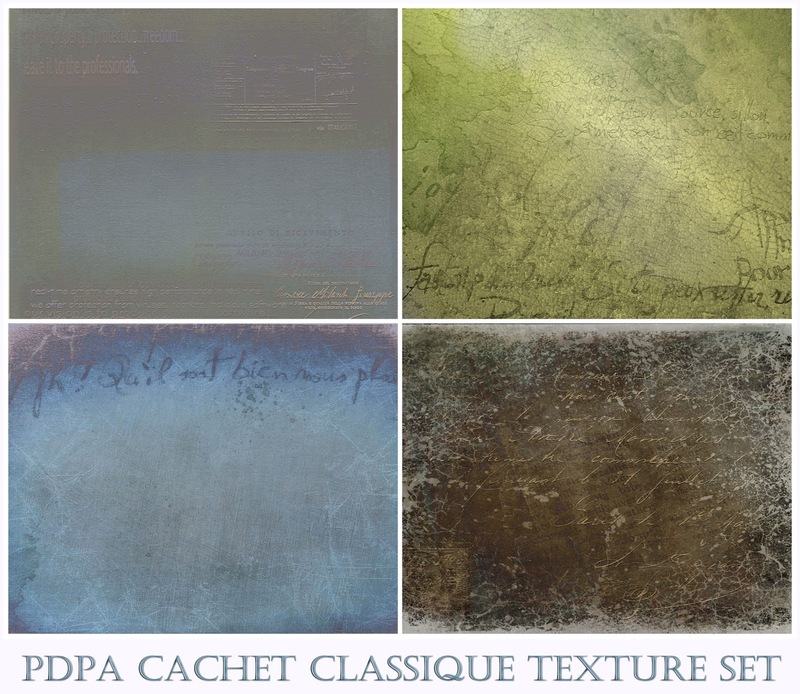 I applied the green texture in the upper right corner of this pdpa Cachet Classique Texture Set to the rose image above. 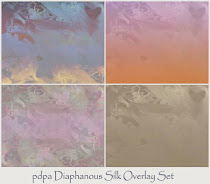 You can acquire this great set and more from my Mini-Sets Texture Shoppe. There are four textures in every set and each set is only $5 USD. Do check it out! Some really superior textures are waiting for you there. A photograph of an enclosed pedestrian walkway over railway tracks. Loved the simple graphic elements in the design of this corridor, and the light and shadow on the floor. One of my textures creates the design on the walls and wood supports. On the right side of this screen shot, in the layers panel, you can see the photograph, the texture applied and the adjustments made. 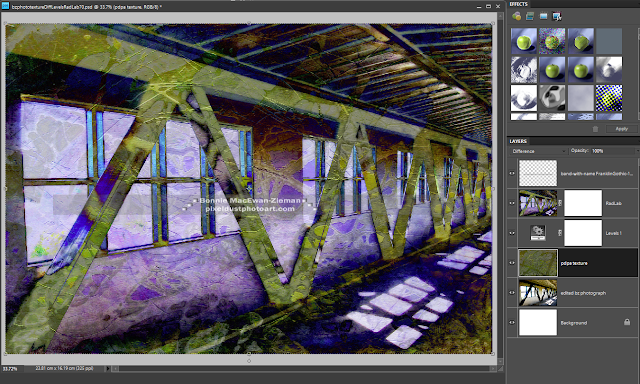 The texture was blended in Difference mode with the opacity adjusted to 85%. A photograph taken by a friend several years ago. With adjustments in Photoshop I added light and then applied one of my bokeh textures. This vivacious, dynamic, life-loving little soul is seldom captured in such a quiet, reflective pose! I have decided to put Photo Art Friday on hiatus for 2 months. 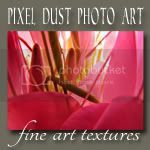 I will still be making posts and sharing the occasional free texture here on the blog and will keep you updated as to when exactly PAF will start up again. Right now the plan is for Photo Art Friday to return on June 14th - 15th. I apologize for any inconvenience or disappointment the hiatus causes. 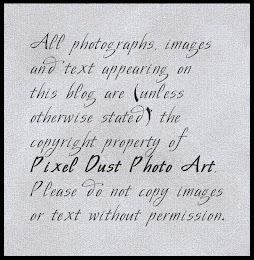 In the meantime, I hope you will continue to create your great photo-art and save some of it for future PAF submissions. I love that pedestrian walk image. Such interesting lines and shapes! Enjoy a much needed break and we'll see you in June! Thanks Bonnie! Enjoy your break Bonnie, a time for you both to recover. The picture of your 'little soul' is simply wonderful. Enjoy your break - see you! I will surely miss YOU and PAF, yet it seems that in my Life, too, this is a time to step away from the computer and to rest my brain and my body after the tackle by canines. Healing is a whole other thing when it's the brain, so I am going to look at this like a blessing in disguise to ease my missing. Also, saving the best for last, your images knock me out!!! Every. Time. That "little soul" is just a special capture, kind of like the one I got from 20-month old Hansi Christmas Eve 2009. If only we could ALWAYS catch those treasures, eh?! The roses, wow!!! I see it is often the smallest way of looking at a thing that makes the biggest difference. And that pedestrian walk just knocks me out!!! BE Well and BE Happy!! And remember YOU are a treasure. and I thank you for all that you have done to inspire and encourage me to experiment. Enjoy, and I'll look forward to 'seeing you' in a couple of months! Bonnie, your images are wonderful...I love the corridor one especially! And what a precious little girl in that last photo. I will miss PAF while it's gone...I will probably continue doing photo art on my own each week just because I love it so much! Take care and I'll certainly look forward to your regular posts in the interim. I enjoyed this challenge and your inspiration pieces!!! Love how you used the texture over the first picture!!! oh and by the way! 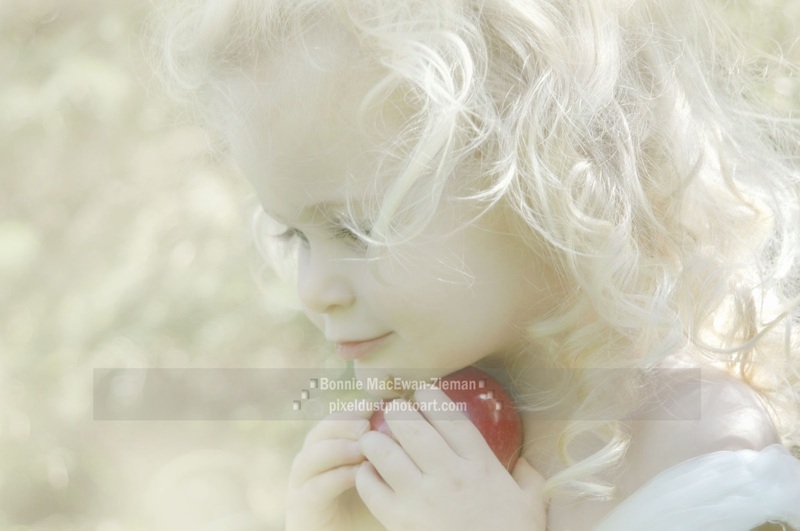 I totally love your processing on the photo of this precious little girl. She is so adorable... A relative??? Great pieces, and such contrasts- beautiful, soft, delicate light; and the hard lines of the walkway. Great stuff! I love your photos, as always. Hope all is OK with you. I'm gonna miss yer. Take care. Hello there, your photos are wonderful and I have had your badge on my site for over and year, and thought it was time I came over and joined your meme! It's always good to take a break from the blogging world! Have fun! You certainly have earned a break. I hope you get plenty of rest and relaxation but you will be missed. You are so creative and I have enjoyed and have been inspired by your work. You will be missed Bonnie, but life happens, doesn't it? I hope you have a wonderful break and that you get life to make lots of your gorgeous art! Bonnie, thank you for all the hard work you have put into challenging us over the last few months. Enjoy your break and I hope you will return refreshed and renewed. I too will miss these regular challenges but I hope to use the extra time available to me to learn more about photo editing. 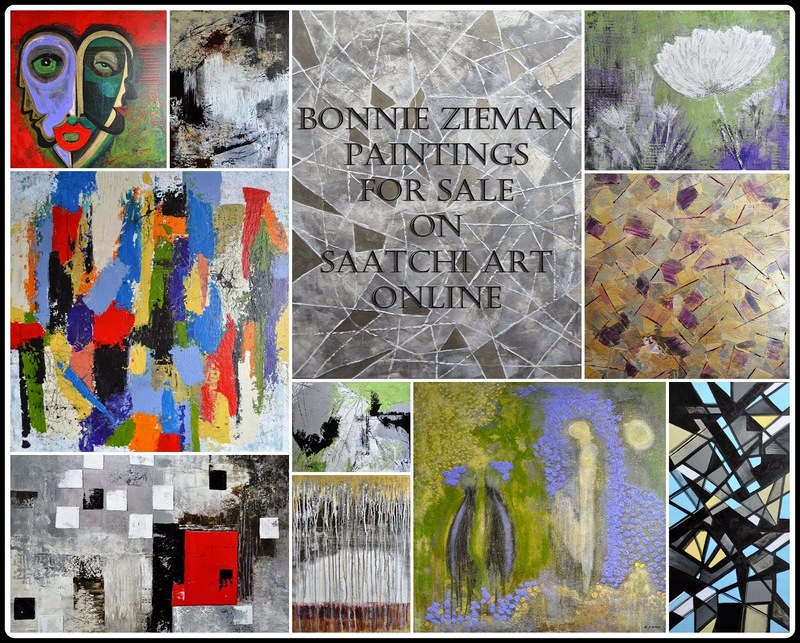 Wonderful artwork, Bonnie! I have been stretched here at PAF and have enjoyed every minute of it. Stay well and get some rest and relaxation. Had to throw my hat in for this last go-round for awhile. You've put so much work and care into this blog and it's been lots of fun participating and being challenged by the ideas you've come up with, as well as meeting other people ready to try their hands at making original photo art. I hope you enjoy the time away from the demanding, regular beat of the blog drum and have the chance to dance to a more free form, syncopated rhythm through your days...even if sometimes the dance means not moving at all. I've enjoyed participating in your challenges, Bonnie. Looking forward to seeing you in June. Bonnie- Last week was a whirlwind for me. But then life has been a whirl wind for quite sometime. I came to see what this weeks challenge was- and find you are taking a break. It is midnight on Thursday- I am relieved. I so wanted to be a part of this weeks prompt (if there had been one) I was going to figure out what could work. Instead I will go to bed - which is just what I should be doing. These are three incredible examples. 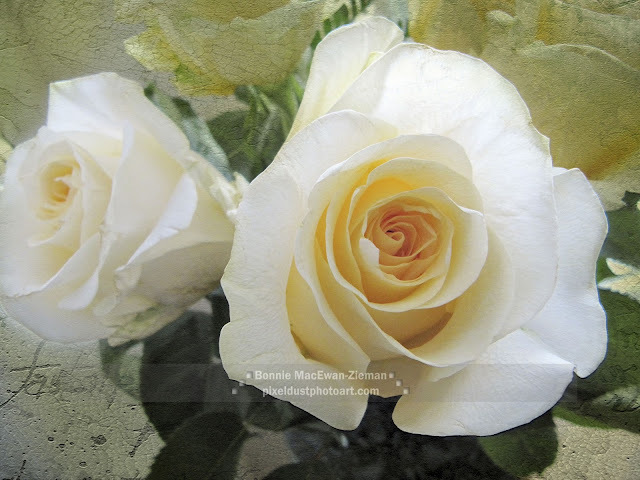 The light shining through the roses is lovely and so is your texture work. I also like what you did with the bridge. It almost looks like you used a pattern. Amazing what textures can do. The image of the little girl is just exquisite. The light and texture give it such a luminous quality. Nice work, Bonnie. Forgot to say how much I have appreciated your taking your time to host PAF. Enjoy your time off. I'll continue to check out what you are doing.